Skylark Blog: Is Divorce different for Men & Women? I recently read an article written by a professional whose firm handles divorce cases for women only. At Kelsey & Trask, P.C. we represent both men and women going through divorce, and the statement made by this other firm got me thinking. If you choose only to represent women then you must think there is something unique about how they experience divorce which you think you can help with (or conversely something unique about men's experience that you don't want to help with). In my experience having represented both men and women, everyone experiences the loss, the frustrations, the anger, the relief, and all of the other emotions of divorce differently. Although I have noticed some similarities across cases, they often depend more on the financial similarities between those cases, than the role of men or women. For example, there are still many cases which fit into the traditional model of a homemaker wife and wage earning husband. There are of course similarities across cases about how homemaker wives experience financial distress and may need more assistance in understanding the finances of the marriage. Similarly, when the mother has been the primary caregiver for the children, father may need more assistance in understanding how to parent effectively on his own. However, I have also handled cases where the wife was the main wage earner, and the husband the primary caregiver to the children. And much more typically today, we handle cases where families share these responsibilities. Because individual cases vary so greatly, I don't think any generalizations about how women or men experience divorce differently can be all that useful. The best advice for anyone going through divorce I believe applies equally to both men and women: be calm, be reasonable, be forthcoming, and seek help when you need it. 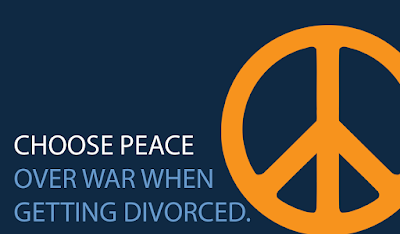 Very true, couples seeking divorce should be calm,reasonable.